Double the pleasure with this Double Stacked Black and Zebra print bow. This is a black base 1.5" grosgrain bow that has a 7/8" zebra print bow on top. A black grosgrain ribbon wraps the center and is attached to a French clip. 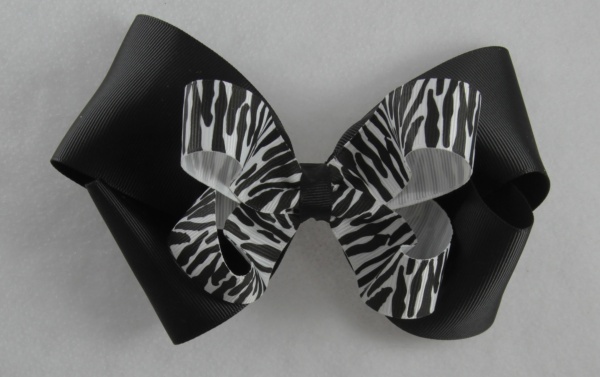 Zebra print lovers will have to get this bow.